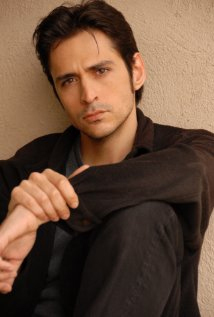 Mark Meer is internationally known as the voice of Commander Shepard, Blasto, Niftu Cal, the Vorcha, and more in Bioware's Mass Effect Trilogy. Other voice work includes the Baldur's Gate and Dragon Age series, and Hinterland Studio's post-disaster survival sim, The Long Dark. He voices Horse in The Prometheus Protocol, the new Captain Canuck animated series from Chapterhouse Studio. Mark is a cast member of CBC Radio's The Irrelevant Show and APTN's CAUTION: May Contain Nuts, and is a co-creator, writer, and star of the award-winning TV series, Tiny Plastic Men. Meer is a member of world-renowned improv troupe Rapid Fire Theatre and a five-time nominee for the Canadian Comedy Award for Best Male Improvisor. He serves as the Dungeon Master for Improvised Dungeons & Dragons, which he recently exported from Canada to Atlanta's own Dad's Garage Theatre.